Are questions flashing over you such as: What is this? What is happening to me? What was I just saying? 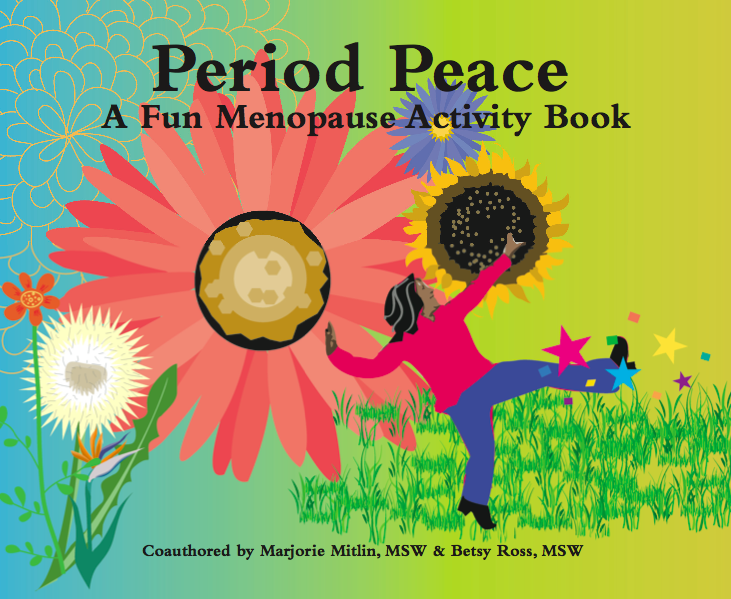 If you shiver, sweat, or feel cranky and range in age from 40 to 60, then Period Peace is for you. Period Peace is a gift book, a game, a word puzzle, and a resource. It is a book that women carry in their pocketbooks, stick into a friend’s computer bag, and give as a gift to other women who support each other. Period Peace contains no scary information about terrible mid-life diseases, nasty bodily changes, or expensive remedies. (Those can be found in many other books). Instead, we’ve decided to focus on some of the fun activities of our youth including, word scrambles, mazes, crossword puzzles and more, with a distinctly mature menopausal twist. Take a look at some Period Peace pages!